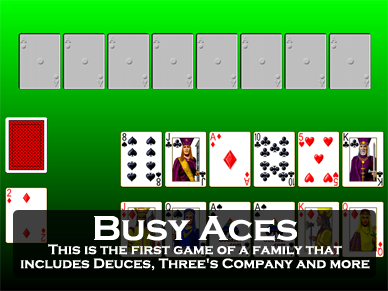 Screen shot of the game Busy Aces from Pretty Good Solitaire. 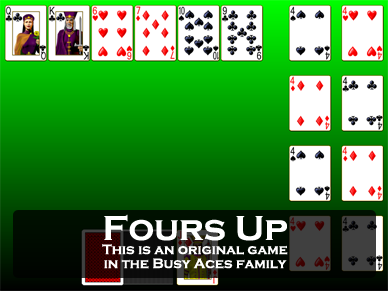 Busy Aces is a two deck game of solitaire. 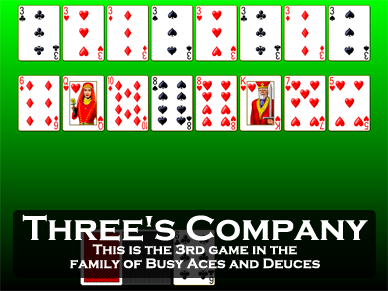 While somewhat in the Forty Thieves family of games, it is the base game of an entire group of similar games. 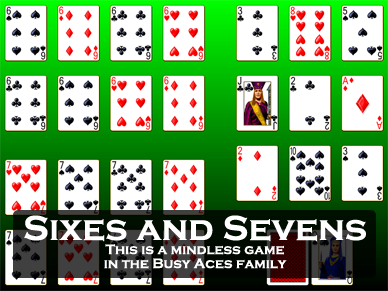 At the start of the game, one card each is dealt out to 12 tableau piles. The remaining cards form a stock that will be turned over one card at a time to a waste pile. There will be eight foundation piles to be built up in suit from Ace to King. The foundations begin the game empty. 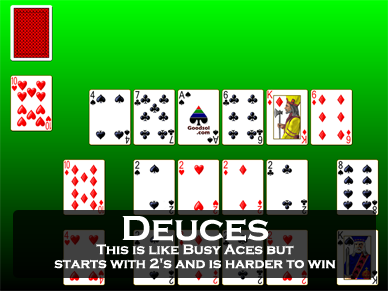 Play proceeds by moving up any possible cards in the 12 tableau piles to the foundations. Tableau piles are built down in suit. Only one card can be moved at a time and only the top card of a tableau pile is visible. Spaces in the tableau are filled by a card from the waste or from another tableau pile. When there are no more possible moves within the tableau, turn over a card from the stock to the waste and continue play. 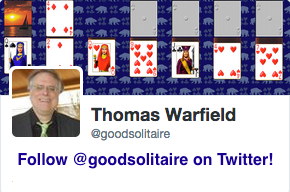 The object is to move all of the cards up to the foundation piles. 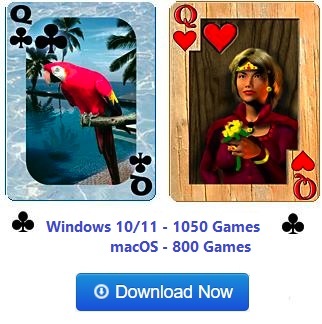 There is no redeal, so when the stock is empty and all the cards cannot be played up, the game is lost. 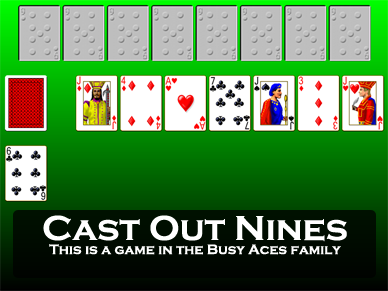 The strategy in Busy Aces is simply to get as many cards as possible out of the waste and into the tableau piles. An average player wins about 65% of the time, although with good play it is possible to win over 90% of the time. 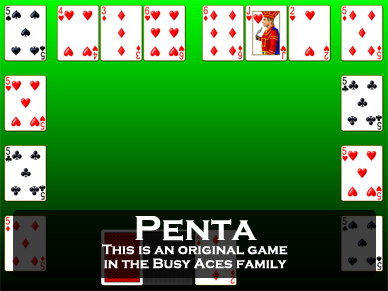 Busy Aces has many variations, including the family of games that includes Deuces, Three's Company, Fours Up, and Penta. Also similar is Fortune's Favor and The Spark.